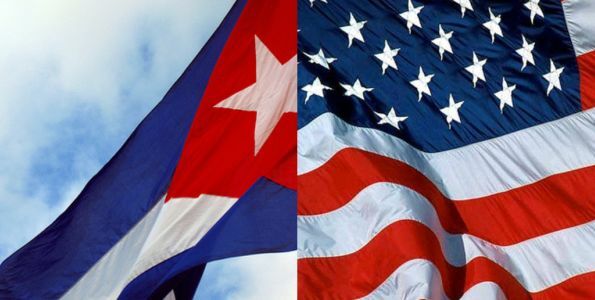 San Francisco (Obama.net)- For decades, the relationship between the United States of America and Cuba has not been a good one. The governments of the two states have barely had any relations and have been opposites on numerous viewpoints. Traveling between the two countries has been extremely difficult with restrictions and regulations high. But since the election of Barack Obama, the relations between the two states have been improving. Despite differences in political views, Obama realized that many Americans have family in Cuba and that it simply is not fair to them to have so many restrictions on seeing their family and friends. With the new measures, religious groups will have the ability to travel to Cuba to spread their religious messages on the island. Furthermore, universities will be able to send students and researchers to Cuba to conduct studies. Other educational opportunities such as study programs and academic seminars and conferences having to do with Cuba will also become available. Also, any American citizen can send as much as five hundred dollars once every three months to individuals in Cuba who are not in their family so long as that person is not a senior government official. Obama has also opened the door for American airlines to begin providing flights to and from Cuba as long as the proper conditions have been met. Many are pleased with the new measures taken by the Obama administration. However, many are also pressing for Obama to open up trade with the island state once again to truly help it join the United States in the free world. While the new policies have increased the flow of communication with the Cuban people, the overall relations between the two states cannot be truly improved until the trade between the two states is restored and thus creates a relationship that would force the Cuban government to improve its treatment of its people. Great news for us Cubans here in the US, and many Americans colleagues! For years we were all forced to travel to Miami, NY or LA to be able to flight home, so I am very happy to know that more airports will be able to offer flights to Cuba. I live in Atlanta, so I am praying for Hartsfield Int Airport to sign up. My only concern about this though…Is this a law? Because if it is not, after President Obama exits office;(hopefully not next year) then this can change. Am I correct? In other words, if this is not a law, can the following president reverse this new policies?